Kaitlin Saulter of Hermon finishes first for the women in the 35th annual Walter Hunt Memorial Fourth of July 3K road race in Bangor on Saturday. Adam Goode of Bangor crosses the finish line first for the men in the 35th annual Walter Hunt Memorial Fourth of July 3K road race in Bangor on Saturday. 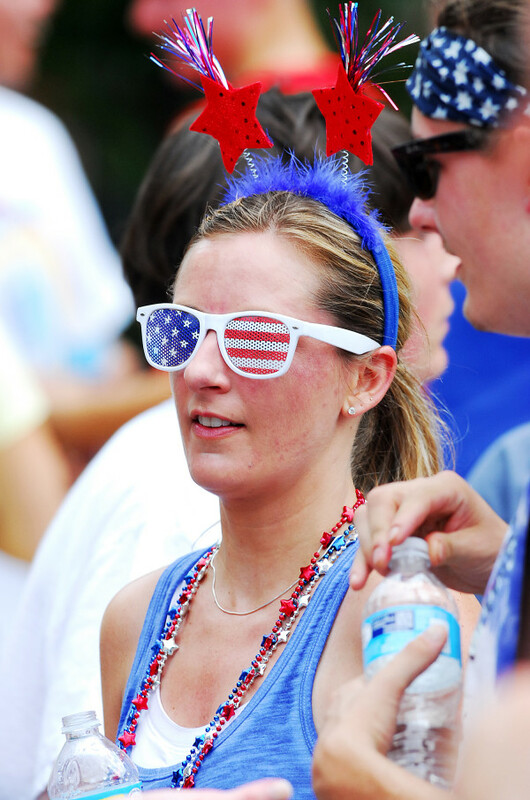 Tonya Pickering displays her Independence Day spirit while cooling down at the finish line after competing in the 35th annual Walter Hunt Memorial Fourth of July 3K road race. The race started in Brewer and ended near Pickering Square in downtown Bangor. 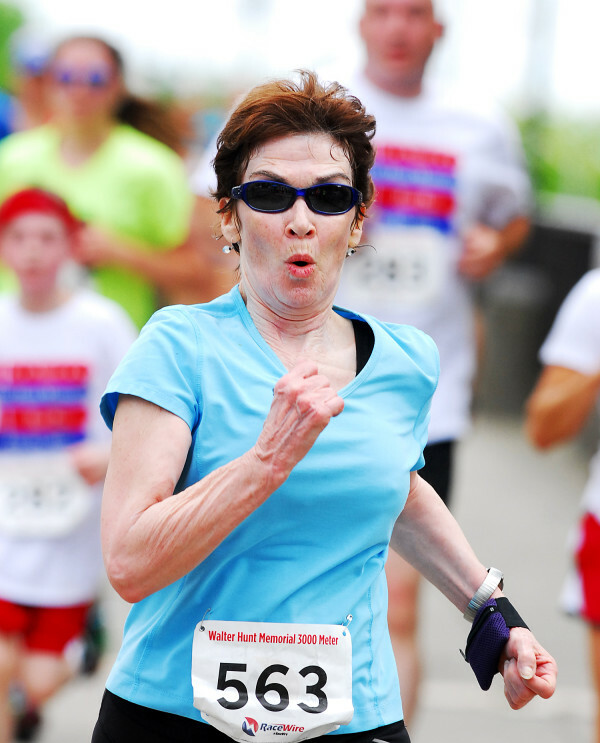 Claire Moriarty of Bangor finishes the race ahead of a large group of runners in the 35th annual Walter Hunt Memorial Fourth of July 3K road race in Bangor. A large group of runners head down Main Street in Bangor toward the finish line of the 35th annual Walter Hunt Memorial Fourth of July 3K road race. The race started in Brewer and ended near Pickering Square in downtown Bangor. 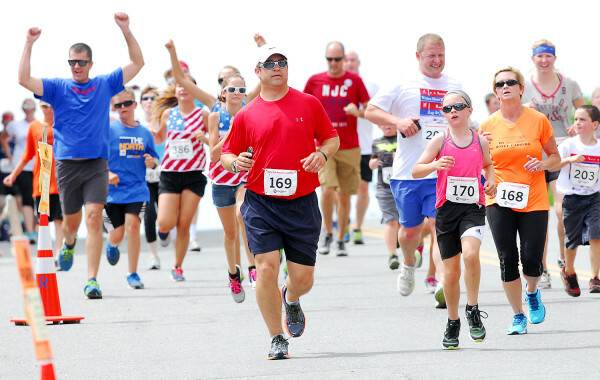 BANGOR, Maine — Among the 517 runners who completed Saturday’s 35th annual Walter Hunt Memorial Fourth of July 3K were nearly just as many different reasons for participating in this unique road race. Among the more popular motivations are the race’s late-morning start, its brevity at 1.8 miles and the chance to reunite with old friends home for the holiday or summer vacation. But the most popular attraction is the course itself from Wilson Street in Brewer across the Joshua Chamberlain Bridge and into downtown Bangor — or more specifically the people who line both sides of the route in anticipation of the lengthy Independence Day parade that follows the race. There’s clearly no sense of the loneliness of the long-distance runner here. “I was very surprised with how fast it was, and also with all the people lining the streets. I was under the impression that running actually has fans,” said 16-year-old John Hassett of Castine, who won the Class C state championship in the 3,200-meter run last spring as a sophomore at George Stevens Academy in Blue Hill. 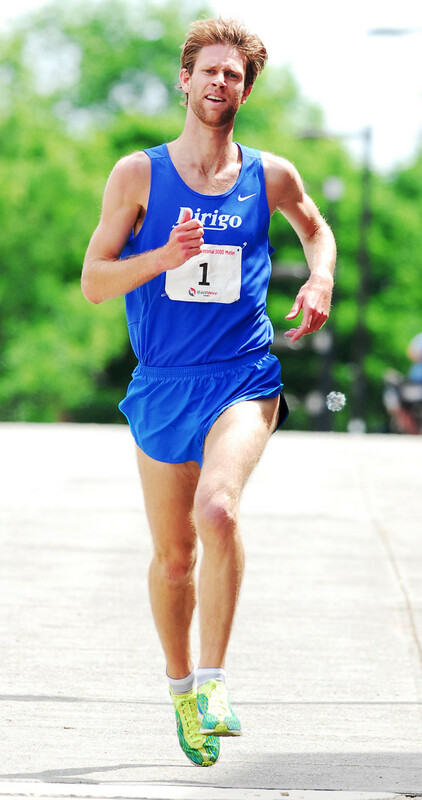 Adam Goode, the 31-year-old state legislator from Bangor and the cross country coach at Bangor High School, won the Hunt 3K for the second straight year with a time of 8 minutes, 30 seconds. The veteran distance runner — who was the second-fastest Maine finisher at this year’s Boston Marathon as well as the winner of last weekend’s challenging Tour de Lac 10-miler in Bucksport — said he also appreciated the crowd support. But he was competing for one fan in particular — his 84-year-old grandmother, Audrey Dyer. Hassett chased Goode from the starting line and kept pace for the better part of the first largely downhill mile, which Goode completed in 4:27. Indeed, Goode pulled away as he crossed the bridge and passed family members before turning onto Main Street in Bangor and running alone to the finish. Alex Beals, 21, caught and passed Hassett as they turned onto the footbridge that crosses the Kenduskeag Stream to reach the finish line and placed second overall in 9:02. Hassett was next in 9:07.4, with Jonathan Stanhope of Bangor (9:18) and Ian Fraser of Brewer (9:31) completing the top five finishers. 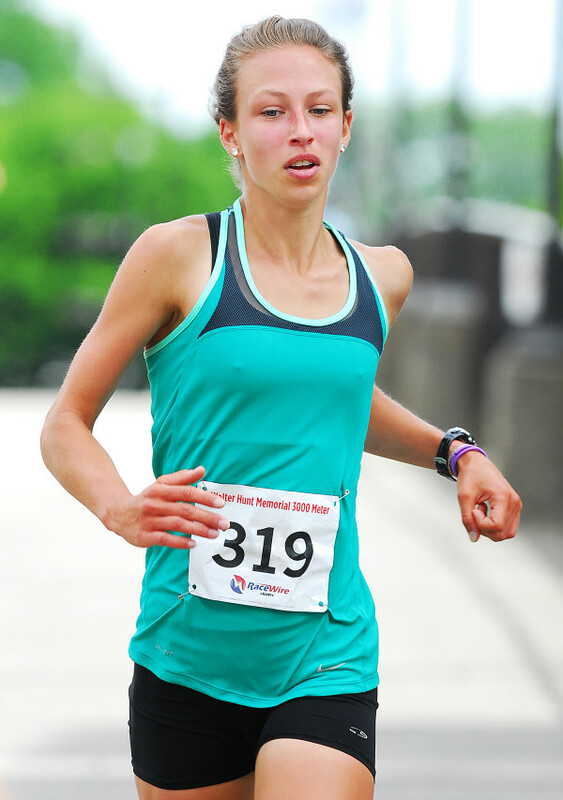 Kaitlin Saulter of Hermon, an 18-year-old University of Maine student who competes in soccer and track and field for the Black Bears, won the women’s division and placed 21st overall in 10:29.3. Saulter, who was second in the women’s division a year ago, improved on her 2014 time by 35 seconds and admitted that she, too, got a boost from the crowd. Katherine Collins of Winterport finished second among the women’s finishers in 11:42, followed by Heather Knowles of Brewer (11:48.2) and two of the younger runners in the race, 9-year-old Ruth White of Orono and 15-year-old Tessa Yardley of Bangor. White, who will be a fourth-grader at the Asa C. Adams Elementary School in Orono this fall, placed 53rd overall in 11.48.5 while Yardley, a rising sophomore at Bangor High School, was 63rd in 12:01.